I’ve watched 27 films in Mandarin since I began my experiment 7 months ago. Twenty-one of these are Chinese movies, while six are dubbed Hollywood productions for kids. I would recommend 17 of these Chinese films, and strongly recommend 10: Hero, Journey to the West, Shower, House of Flying Daggers, Crouching Tiger Hidden Dragon, Shanghai Triad, The Emperor and the Assassin, A Touch of Sin, The Road Home, and Fearless. I would recommend these movies to anyone who likes good cinema, but think it would be a real shame if any student of Mandarin did not watch these 10 movies. My truly short list—movies I would rate among my favorites regardless of language—are Hero and Journey to the West, but a strong runner up is House of Flying Daggers, namely for the visuals, while Crouching Tiger Hidden Dragon and Shower are both just very good original cinema. I would greatly appreciate it if anyone can point to other high quality Chinese movies in Mandarin! There are also 5 Disney movies that I got dubbed in Mandarin that are totally worthwhile, and not-to-be-missed for children studying the language. They are Nemo, Mulan, Beauty and the Beast, Cinderella, and The Little Mermaid. Mulan is not only a very enjoyable movie, it is the only movie I have ever thought is perhaps better to watch dubbed than in the original language. The reasons are (1) it is set in China, so it seems quite natural and appropriate for the characters to be speaking Mandarin; (2) since it is animation, even the original audio has voice-overs, so you hardly notice you are watching a dubbed version; and (3) the Mandarin version seems extremely well done. Mulan, Beauty and the Beast, Cinderella, and The Little Mermaid are all musicals, so to speak, and the Mandarin versions are almost as catchy and beautiful as the original English songs. Although I have tremendous difficulty understanding them or committing them to memory, I believe that as one reaches an intermediate level, learning these songs would be of invaluable help in assimilating new vocabulary, expressions, and becoming more comfortable with the language. All of these movies are just incredibly well done, and Nemo stands even a bit above the rest. 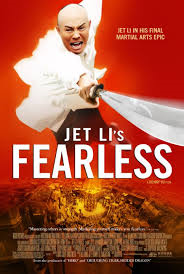 Although I am very much interested in discovering new Chinese films and will also purchase more Mandarin-version Disney films and perhaps some other dubbed Hollywood flics, I also think I will begin repeating movies more and more. I have already done that some: I watched Hero and Journey to the West 4 times each, Shower and House of Flying Daggers 3 times, and Mulan a whopping 6 times! However, now that I have probably gone through some of the best Chinese movies out there, and found some personal favorites, I think I may actually find repeating them time and again more stimulating than trying out new films that may not be that good. In addition, I hope that each time I repeat a given movie I will put more language pieces together of my Mandarin-acquisition puzzle, and eventually get to the point where I can watch that movie and understand the dialogue fairly well without subtitles, then keep watching it until the pure dialogue is not only comprehensible but natural and familiar to me. I updated my Films table today and added a new column to sort the films from best to worst for a student of Mandarin like me. Therefore, when you review my table, you will always see my most highly recommended films at the top. I believe that will make the list significantly more useful. On the Chinese films page, I briefly explain how the ranking is calculated. In my last post, I mentioned my three most recent movies, and promised more details. The banners of the three movies are at the top of this page. 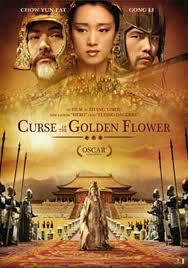 The only new one is Curse of the Golden Flower. However, I really enjoyed seeing Fearless and A Touch of Sin a second time. I will focus just on the latter to conclude the post. It reminded me a bit of the movie Crash. A Touch of Sin tells four different stories, all of which are tenuously connected to at least one of the other stories by a single person or event. Each of these stories reveals the injustice and violence that is latent in contemporary Chinese society—but really common to most any modern society. The first story is about a common but rather maladjusted citizen who, unlike everyone else, is outraged by the corruption of the local political and economic elite. He finally finds a solution that is reminiscent of the protagonist in Falling Down. The second narrative is about young man whose solution to the boredom and lack of opportunity inherent to his station in life is cold-blooded criminality. Third, a frustrated mistress responds to male sexual aggression with violence that shocks her as much as anybody else. Finally, a young laborer, frustrated with low-paying and unpromising employment opportunities and the unfair selfish expectations of his mother finds a different, but equally violent solution to his plight. A Touch of Sin is ripe with social commentary. If you don’t mind some blood, it’s also fast-paced, entertaining, and well made. Don’t miss it if you are interested in contemporary Chinese society or just want to train your ear on current street Mandarin.